1421 China discovered Patagonia and its "mylodons"
Book Cover. 1421 The year China discovered the World. Photograph of the book cover from my personal library. Gavin Menzies' book "1421 The year China discovered the World" proposes a highly imaginative and improbable theory by which a fleet of junks that set sail in 1421 (hence the name of the book), navigated around the globe exploring it thoroughly. He states that they mapped the world and that the Portuguese and Spanish navigators who would later sail around Africa and discover America used these maps. Additionally they collected specimens of plants and animals taking them back to China. Some of their junks capsized and the shipwrecked survivors peopled different spots around the globe with ethnic Chinese and their domestic animals (dogs, otters, chickens). Far fetched? In my personal opinion, Yes!! It would strip the [trees] branches bare of fruit before lumbering off to demolish the next tree. The animal was said to reach three metres, sometimes even more, in height and slept for most of the time. The native people of Patagonia harnessed these 'harmless souls' in caves during the winter, taking them out to graze in summer; their meat apparently tasted like bland mutton. - The remains of mylodon found in Patagonia at least 10,400 years old. So nobody could record what their meat tasted like. (Bland mutton? why not tough moose meat or pungent gnu steaks?). 2. Grazing in summer, enclosed in winter? Based on what proof? We know that these creatures were never domesticated. 3. Furthermore, the native people of Patagonia (Paleo-Indians and their Tehuelche descendants) were hunters and gatherers. They never bred or raised cattle. 4. Fruit from trees? The Patagonian forest is made up of “Southern Beeches” (Nothofagus) species like the ñire, lenga and coihue. None of which have juicy or edible fruits. The mylodon would have eaten their leaves not their fruits. See my post "The Mylodon Saga" for the real accurate facts regarding Patagonian mylodons. Menzies then says that the Chinese loaded some specimens on their junks to take them back to the Emperor's zoo in Beijing. Of course there is no proof that there were ever any mylodon at Beijing. The animal described corresponds in size, posture and eating habits with the mylodons the Chinese could have taken aboard in Patagonia. Perhaps a pair escped from the [junk] wreck, survived and bred in similar conditions to their home territory in Patagonia - the latitudes are the same. The only accurate statement in the parragraph is that New Zealand and Patagonia are located at the same latitude (also, there are some Nothofagus species there, similar to the Patagonian ones - a fact Menzies overlooked). So in other words, we are asked to believe that: in 1421 a group of Chinese explorers [of an unproved voyage] after discovering America [no proof of that either], took mylodons [which were then extinct] from Patagonia and transported them to New Zealand which, by the way they also discovered [unproved]. These mylodons somehow swam ashore after a shipwreck at New Zealand, where they bred and survived [at least four hundred years - because they have not been seen since 1831]. Can anyone top that as the most amazing tale ever told? If the other "proof" given in the rest of the book is as tenuous and unfounded as this, then I seriously doubt that the Chinese discovered the world in 1421. Menzies, G., (2003). 1421 The year China discovered the World. London: Bantam Press. Legal stuff: Regarding Links to other sites, Non endorsement, Brand Names and trademarks and Other products and vendors, such as 1421 The year China discovered the World, please see our Terms and Conditions. You don't seem to be much of a fella for research. I would encourage you to engage your curiousity although you seem remarkably self-assured to critique Menzies, a career Naval officer & mariner, two things which you are not. Research is a basic principle in science. Bring forth proof and I will believe (whether you are the Lord High Admiral of the United Kingdom (i.e. the Queen) or a beggar. I do know a little about Patagonia and what Mr. Menzies asserts as per my post, is far from accurate. So it makes me wonder how true is the other data in the book. Provide the Chinese documents (of a Mylodon at Beijing's Imperial zoo) and I will believe. I can cite weird theories about UFOs drawing the Piri Reis map which are as valid as Menzies' regarding the Chinese origin of the map; because as both lack solid proof to support them, it is merely a matter of choice as to which is better(perhaps the Atlantes or Lemurians drew the map or some Vulcan from Star Trek!). 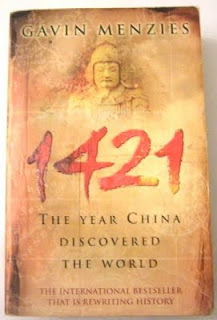 www.1421.tv (1421 the year China discovered the world). www.maritimeasia.ws/topic/1421bunkum.html (Popular History and bunkum) and www.1421exposed.com (The 1421 myth exposed). Let each make up his or her own mind. Reason and not faith, truth and facts, not hollow guesswork that is what science is all about. Otherwise it is snake oil, X-files and similar pseudo-scientific junk. Having said all this, maybe the Chinese did sail around the world in 1421, but the proof I have read until now has not convinced me. More facts please! To my good Chinese friends (and I have a few in Shanghai, Beijing, Dalian, Weihai and Qingdao) on these first days of the New Year: 新年快乐，万事如意 (happy new year and good luck in everything!). I don't intend to offend you, so don't take it that way, instead hear this as a point for you to self analyze and see what is wrong with your thoughs: you are dumb. I men, you call people liers like it's nothing. You afirm for the reader that YOU are right and the people that made this reports are LIERS and/or CRAZY. So it' now hard to keep reading the site... I was expecting a site with real analyzes/investigations, to show what must be the truth (or has more chance to be the truth), even when it goes against what is taugh by "specialists" on universities and the like. Not some guy that, besides all the evidence, is dumb/blind to believe with all faith that there is not mistakes and lies on the education on the world, that there is not lots of hidden and distorted facts about the world that are keep away from the knowledge of the comon people. 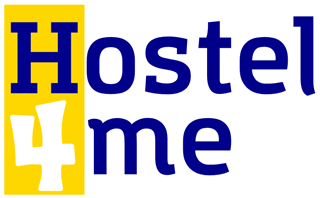 I am a researcher also, and I for sure have lots of information, related to this subject, that I would really be happy to share with you, so that we both could analyze/discover new things/information. But I guess I can't do that, since it seens you would soon callme a lier and/or dumb for dare to contest official informations and the like. the day that I could not access my blog (this one) or my facebook or look up things in Google because the Chinese government thought that I should not do that sort of stuff, I lost my respect for China and its authorities. In a free world, people can access information, and it is their right to do so. They brain wash the people they dominate so Chinese people have a mistaken view of the world, perhaps due to the lack of interaction with an open minded Western World. Of course it is not your fault, but that of the totalitarian system which rules the country and stifles dissent and open dialogue about things. 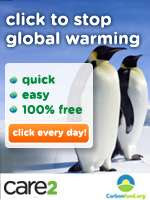 I can consider an article as "hot air" yet that does not make me a Lier, we simply differ in our points of view. In the West that is ok, so, do as you wish. China did not discover America in 1421. And, your system is totalitarian and imprisons dissenters and those who think in different ways (against the orthodox point of view). As you can see, I published your rude comments, without censorship. I am a fair player unlike your government. Austin, the same people that control the America, control China. Consider the USA and China as two states that belongs to the same king, wich enforce specific rules for each country. As I said before, understand the "you are dumb" as a harsh critic against you, not as a offense, my intention was to be direct, without falsity. And I realized after I posted the comment that, since I din't explained better, you could presume that I was defending this subject about a early travel around the world by China. It was not it, I had read others pages, and decided to post that comment after have read a little of this one. The world is not free, it can be said that it's more similar to a cage. You are unaware (unless you are aware and lie that it's not, haha) of the quantity and the "sizes" of the lies that are told to the people of the world by the rulers. So, since I don't have noone to talk to at the moment, via internet I mean, I would like to test your "open mind", as you say, by talking with you about some subjects. But still I don't know if this would be a good idea, haha. you who knows, if you want then let's talk via email.